About the Book: Three years since the accident that took Mia's family and changed her life, Adam and Mia have gone down separate paths. Shortly after beginning her school year at Julliard Mia cut off all contact with Adam with not warning. Since then Adam has wondered what exactly happened to her-and to them. Adam is a rising rock star and his band, Shooting Star, is a worldwide sensation. Adam is dating a beautiful actress and on the outside appears to have a fabulous life. But he's miserable. All of his songs are about his grief over loosing Mia, but he can't talk about it with anyone. Mia is a rising star at Julliard and about to take off on her first tour. One fateful evening bring Mia and Adam together before their worlds separate again. 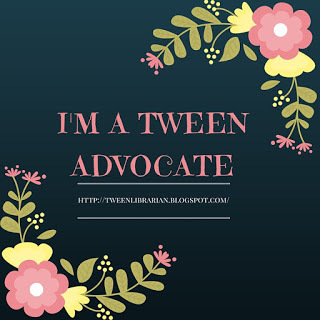 GreenBeanTeenQueen Says: When I first heard that Gayle Forman was writing a sequel to If I Stay, I was excited but I kept thinking, "huh, it didn't really need a sequel." Boy was I wrong! Where She Went is told from Adam's point of view this time around. Much like If I Stay, the book is told with flashbacks so we know more about Adam and Mia's relationship, what happened after the accident, and what sent Adam into his spiral downward. Yes, Adam is emo at times (he is an emo rock star after all!). But I found his side of the story to be very interesting. He lost Mia's family as well and then lost Mia. His grief is understandable-he has an incredible pain to deal with but no one to guide him through it but himself. He also is struggling with his conflicting emotions over the fact that his success is based out of his grief. On top of all that, Adam is dealing with the fact that he told Mia he would let her go, but how do you truly let someone go? So mix that all up, and it's understandable why he's so emo throughout. I'll admit that for the first part of the book, I wasn't sure what I thought. I don't know, but maybe it was Adam's backstory and the beginning and how he starts out sort of whiny. I wanted to know what happened, but everything is slowly revealed. I don't know what happened or how the author pulled it off, but about halfway through the book I realized that just like Adam, I needed closure to Adam and Mia's relationship. I needed to know what happened next and what made Mia just up and leave. I needed to know how they were moving on, how they were coping. I needed them to come together again for just one evening and figure out where things went wrong. The fact that the author could connect me to the characters in this way made me love the book more. I was pulled in and I needed Adam and Mia to work through their grief and move on so I could move on as well. Ultimately, this is an emotional story and the writing is raw and beautiful. I was sucked into Adam and Mia's story. Much like in If I Stay, I felt the pain of losing Mia's family, in Where She Went, I felt the aftermath. I connected with the characters and I felt like they were part of me, making the book even that more powerful. It's not an everything perfect is ending, but it worked for me and I was happy to have that closure, even if at first I didn't know I needed it. A beautiful sequel that surprised me. 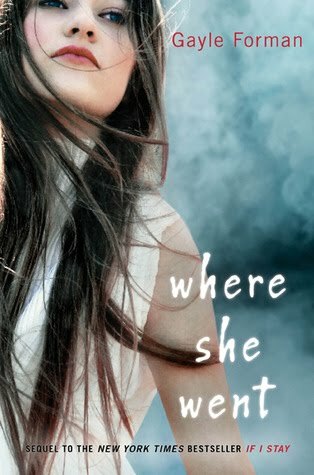 Where She Went is a book worth reading. I'm so glad Gayle Forman wasn't done with the story! I loved the first book so much and I can't wait to read this one. Plus I love YA books from the male POV. This one surprised me too. I was absolutely against having a sequel, because I thought the story was done. Turns out it was so not done! So I was not a particular fan of the first, and was also wondering, "Why make a sequel? And, how?" Then I read the synopsis . . . Now I kind of want to read it. I will probably be shot for saying this but I liked Where She Went better. Not that I didn't like If I Stay, I just liked Where She Went more. Abby-YAY! I'm so glad you did. I need to head over and read your review now. ttyoverit17-I'm a hopeless romantic as well! And what a great birthday present-I hope you enjoy it! Katie-Exactly-there was more and I'm glad the author shared it with us. Scott-I was hesitant about a sequel, but I thought it was very well done and really proved to me there was more to the story. Connie-No way! I won't shoot you for that! This one was very good and I can see where people would like it even more. Totally agreed, I thought this one was beautiful. I felt like I could understand where Adam was coming from. Not that his behaviour was always warranted, but I think I understood it. He lost people, too... and he lost himself as well, I think. I was completely enamoured reading this one. I was a little skeptical about the necessity for a sequel but I totally can't wait now!! I loved this one too. I think GF is just the most terrific writer. I know more than ever need to read If I Stay, so I can then read this one! Great review! I'm really curious about this one- like you, I thought If I Stay didn't need a sequel. So it's cool to read your perspective and see that your mind was changed! This sounds like a really strong sequel. Can't wait to check it out. I'm so glad she did too! I loved this one even more than If I Stay. Adam was just so broken and I wanted to hug him the whole time.